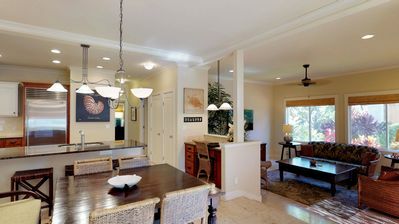 Note: if the requested dates are not available, I also have three other rooms on the property, VRBO #507439, #666626, and #595354. 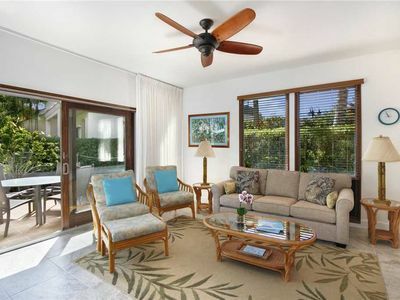 The Kauai Beach Resort - a gorgeous boutique is located along three miles of secluded beach in Lihue, Hawaii. 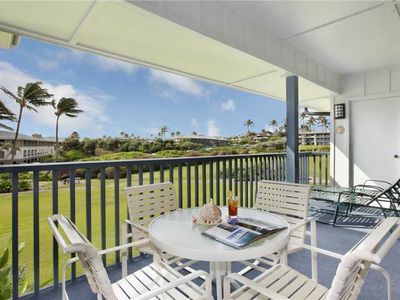 Lihue Airport and the towns of Wailua and Lihue are four miles from the hotel. Naupaka Terrace, the hotel's signature restaurant, offers premium-choice aged beef and local seafood in an outdoor setting. Torch-lit waterfalls and views of the ocean and pool add atmosphere. The Driftwood Sandbar & Grille offers casual dining in a garden atmosphere, while specialty drinks and appetizers are served at Shutters Lounge. Live bands perform nightly. Business amenities include 13,000 square feet of meeting space and a business center with fax, copy and print services. The hotel's pool complex is located in the center of the property and includes three pools surrounded by a rock garden island and a grotto-style spa tub. A water slide and children's pool are available. 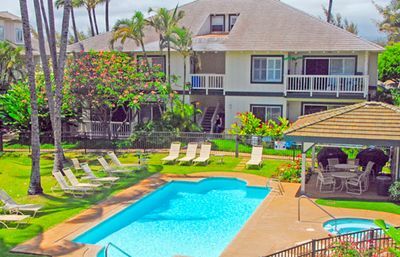 The Alolani Spa and Fitness Center includes a sauna and cardiovascular equipment. 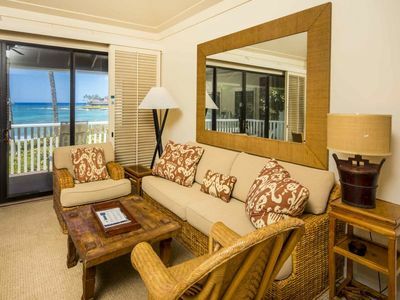 Guestrooms feature a Hawaiian flair and include patios or Lanai's views of the mountains. 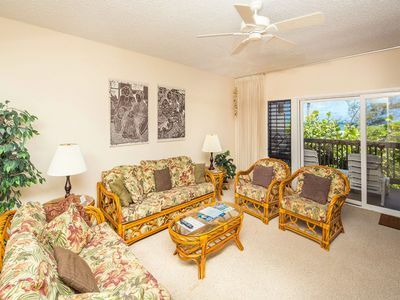 Guestrooms come with refrigerators and complimentary Kona coffee and tea. Bathrooms are outfitted with granite vanities, Travertine tile, curved showers rods and La Source toiletries. 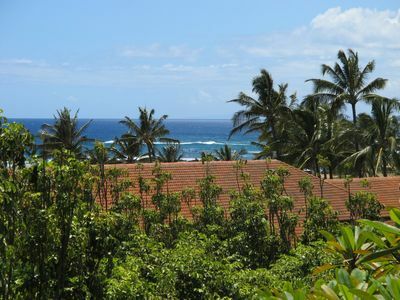 Welcome to the beautiful Island of Kauai, rich in legend and blessed with an unforgettable landscape that is majestic, verdant, and filled with natural beauty. 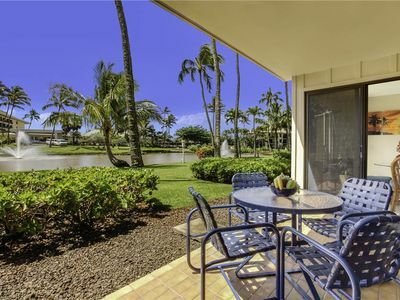 With Kauai’s famed beauties all in close proximity to Kauai Beach Resort, its perfect location near top Kauai attractions makes your Hawaii vacation the perfect occasion to relax and explore everything Kauai has to offer. 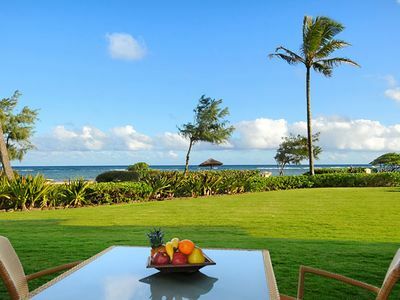 Overlooking 3 miles of glistening white beach and the blue ocean of Kauai’s Eastern Coconut Coast, one of the most spectacular destinations on the planet, Kauai Beach Resort is the ideal location and a striking destination for adventure, romance and tranquility. 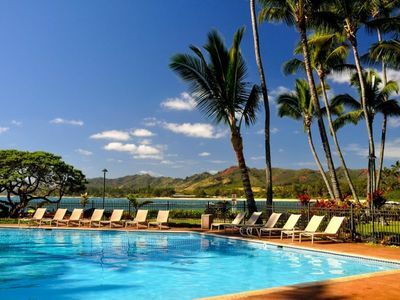 Nestled on 25 magnificent acres on Kauai’s longest beach, our gorgeous, centrally located vacation resort is surrounded by exotic lagoons, cascading waterfalls and tropical views. 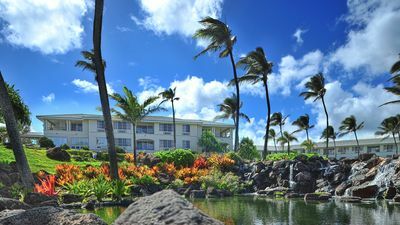 Located just steps from the white sands of Kauai’s East Shore, Kauai Beach Resort is a short drive from shopping, championship golf, waterfalls and popular Kauai attractions and adventures. Take a helicopter ride along the towering cliffs of the Napali Coast. Marvel at Wailua Falls, a spectacular 80-foot waterfall. Kayak along Wailua River to the beautiful Fern Grotto. 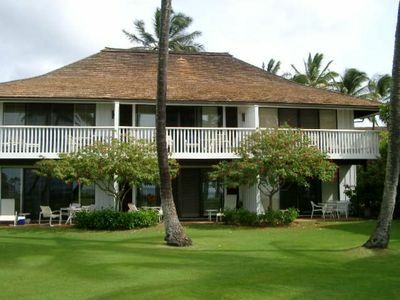 Day trip to Hanalei Bay and Poipu Beach Park and experience Kauai’s amazing beaches and coves. Hike through Waimea Canyon – “Grand Canyon of the Pacific” – where colorful panoramas are mind-blowing. Directions to Kauai Beach Resort. 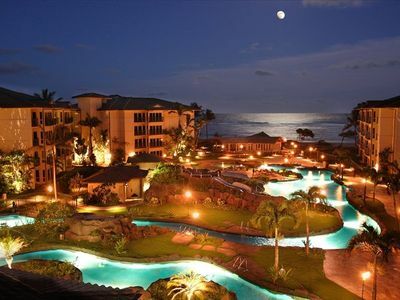 Traveling to our Hawaii hotel is an easy trip from the airport. 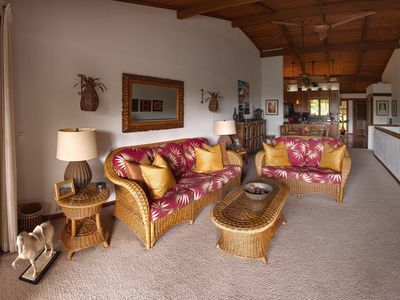 The resort and hotel is located just 2 miles (5 minutes) from Lihue Airport off Kuhio Highway 56. Just follow the signs to paradise. From the soaring cliffs of the Na Pali Coast to the deep chasms of Waimea Canyon, the endless options of things to do in Kauai makes it an enchanting paradise on the northern edge of the Hawaiian Islands. 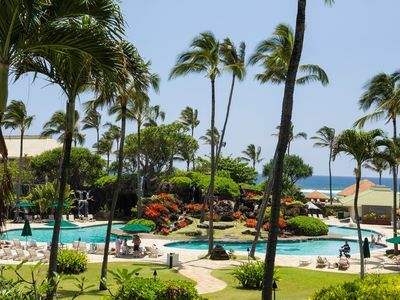 Explore Kauai’s breathtaking landscape of natural attractions, white sand beaches, blissful coves, tropical forests, colossal mountains, cascading waterfalls, dramatic sea cliffs, plunging canyons, wild gardens and championship golf courses. 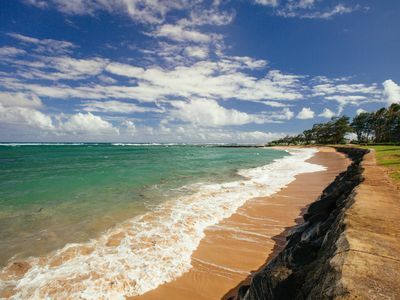 Explore white beaches on Kauai’s Coconut Coast – one of the most beautiful destinations on the planet – and play in the emerald blue ocean. Hike up Waimea Canyon and savor panoramic views of the Grand Canyon of the Pacific, or take a helicopter ride along the stunning cliffs of the Na Pali Coast. 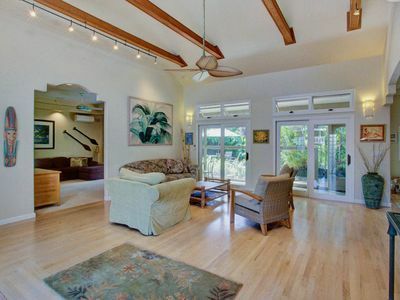 Explore Poipu Beach Park, Wailua Falls, Hanalei Bay, and the hidden valley of Kalalau. Kayak down the Wailua River and see the beautiful Fern Grotto. The gateway to Kauai’s natural wonders, Lihue offers many attractions, such as Nawiliwili Bay, Kauai Museum and Grove Farm Homestead. 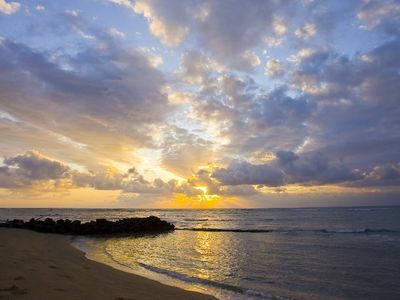 There are so many things to do in Kauai, heaven is everywhere. 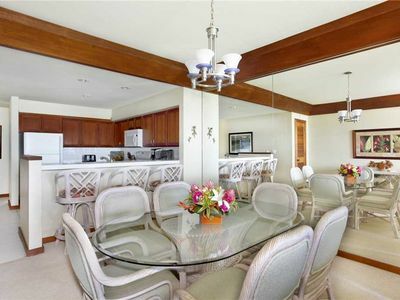 Beautiful 8 bedroom for 18 Poipu Kai Villa! One bedroom garden value view steps to the beach! GREAT VALUE! !